The modern customer has developed a very high resistance to advertising. As soon as they suspect that someone is trying to sell them something, they dig in their heels and take a defensive stance. While the claims made in advertising might be technically accurate, there is zero expectation of objectivity, and the skeptical consumer can smell fine print a mile away. The paradox is that the more you talk about your company, product or service, the more your customer will try to pull away. So how are you supposed to tell the world how great you are when the louder your message is, the more they cover their ears? The answer is content marketing. Content marketing changes the conversation. Instead of talking about you and your product, you talk about your customer and their problems – for which you just happen to have the perfect solution. Content marketing is related to advertising, but it is often more educational in nature. It sits squarely between advertising and public relations – it is company-produced messaging designed to sell, but the shouting announcer is replaced with an experienced professional who has spent a lot of time thinking about the customers’ needs. When done correctly, content marketing drives traffic, generates leads and establishes expertise. But to be successful, you will need solid content, genuine knowledge, and a clear strategy. As we outline the strategy, we need to identify and describe its major components. Marketers have more options than ever before, which can be a blessing and a curse. A blessing because there are more ways for you to meet your customers where they are. However, it can be a curse if you let yourself become paralyzed by too many choices or dilute your message by pushing content through too many channels. Your content strategy will be useful when preparing your overall budget forecast, and your budget might help you rule out some of the extraneous marketing options for you. 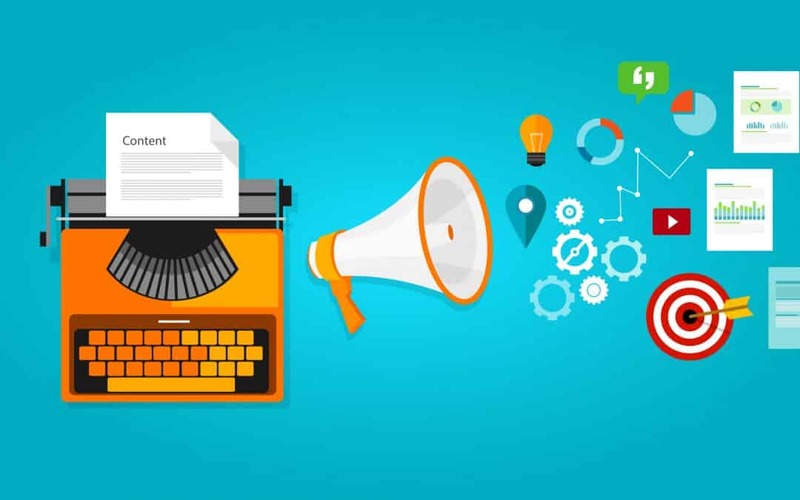 Content marketing channels were at one time divided into digital or print, but now, more and more of them have converged to exist in both realms. Digital channels can include anything from websites, social media, videos, ebooks, and webinars. Print includes direct mail, brochures, data sheets, newsletters, white papers, and articles. It becomes clear, though, that most of these can change format pretty easily. For example, newsletters can be printed and mailed, but most are sent through e-blasts; a white paper can be housed on a website as a downloadable document or it can be printed out and distributed in a trade show booth. To take things one step further, technology like near-field communication and augmented reality can blend print and digital so that printed your documents connect potential customers to your digital content. When producing sales content, it is important to write with your reader in mind. If you sell directly to consumers, learn everything you can about your target demographic and pay particular attention to areas in which your product or service can improve their lives. If you sell to businesses, find out who the decision maker is and write for that person. For example, if you have developed a new piece of technology hardware, write with the Chief Technology Officer in mind. The language that you use should be very different if you are selling a consumer product to teenagers than a tech service to engineers. Why? Because they are very different decision makers who are looking at vastly different criteria when making purchases. The consumer product is likely being sold to someone who is more interested in image or cost, while the engineer is looking for specific performance metrics. Don’t overthink it. Find out where your customers are looking, craft a message that appeals to them, and put your content there. This step is pretty straightforward. Read and re-read your content. Then read it again. Read it out loud. Have other people read it. Consider hiring a writer or editor to read it and give you notes. If the goal is to establish expertise in your field, then grammar is the first step to a portraying yourself as a professional. Be sure to check the basics like spelling and punctuation, but also pay attention to the overall flow of the piece. Is the sentence structure too repetitive? Are there any places where the message isn’t clear? If your brand has any unique spellings or trademarks, make sure that you are using them within the guidelines of your own marketing plan and style book. Those documents were created to keep your brand strong and clear regardless of the format of the message. Proofreading is your last chance to make sure that everything is in its right place. Content marketing has two primary goals. The first is to drive traffic and increase awareness; the second is to provide readers with interesting and engaging content. The previous steps have dealt what to create and where to put it, but search engine optimization makes it so prospective customers can actually find it by manipulating your company’s placement in search engine listings. The number one slot is obviously the best place to be, and if your company is buried three pages deep, it is unlikely that it will ever be found. When used strategically, SEO can edge out your competition and ensure that your content is the first thing that customers find when they start seeking solutions for their problems. Once the document has been created, and it has been scrubbed for errors and SEO, it is time to make put your content out into the world. For digital content, this can be as simple as clicking “Publish” on your website, blog or video. SEO will guide many viewers to your content, but it should also be supported by a social media campaign. Most of the major social media platforms allow users to “promote” their content for a fee based on demographic and number of hits. This allows you to actively put your content in front of the people who are most likely to respond to it. Generally speaking, the content of content marketing is free for the customer, but you should consider requiring potential customers to submit their e-mail addresses or other contact information in exchange for access. A name, an e-mail address or phone number, and a company name can prove to be a very lucrative sales lead – IF you have quality content and you are reaching your target audience. For all of these forms of content marketing, you need to have a clear and unified message. Your message should be unique in comparison to your competitors and positioned in a way that shows why your product or service is the best solution. Don’t let yourself get overwhelmed and don’t let your message get diluted. Everybody dreams of Super Bowl ads and viral marketing campaigns, but a lot can be accomplished with a well-designed website, a coordinated social media effort, and an SEO-optimized blog.